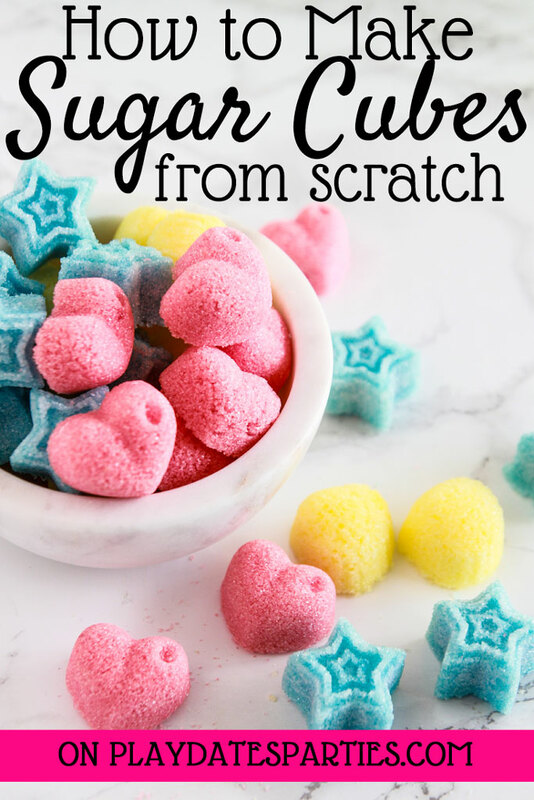 Learn how to make sugar cubes from scratch and you’ll never buy store bought again. Plus, get the best tips and ideas for using them. 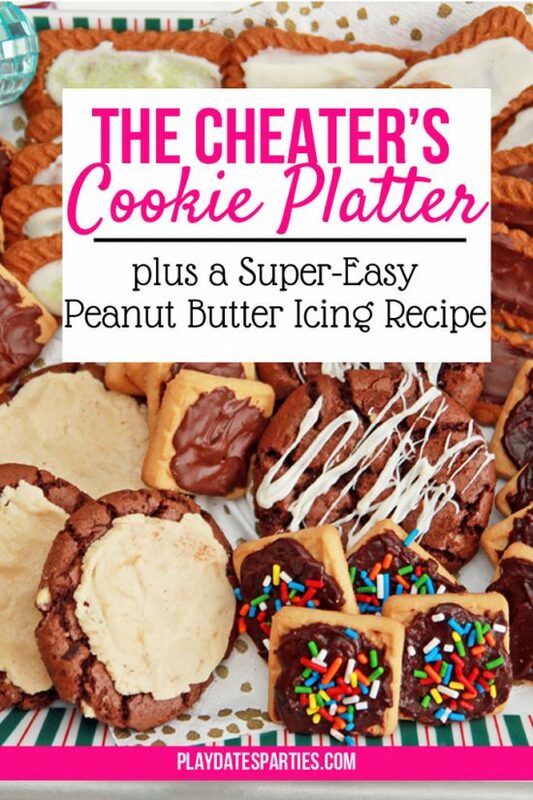 Don’t forget to check out more fantastic party recipes here, too! It all started when I wanted to make champagne cocktails. Of course, it’s easy enough to go to the store and buy a box of sugar cubes. But, why do that when there’s a container full of regular sugar right in your pantry? So I decided to learn how to make sugar cubes on my own. And lo and behold, it’s super duper simple. Seriously, making them from scratch is so easy, you’ll kick yourself for ever buying the pre-packaged version. You can add extracts, oils, and dried citrus rind for an incredible flavor boost. Add a little food coloring so they match your party’s color palette. Once I got started making these cuties, I couldn’t stop thinking about all the different ways to use them. Color them to match your party theme and put them in a pretty bowl next to the teapot for a high tea. Have a bowl of decorative sugar cubes made with bitters out on the bar for a New Year’s Eve party or bridal shower for make-your-own champagne cocktails. 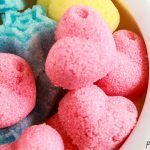 Make party favors for bridal showers or tea parties by putting a bag of colored and flavored cubes inside a thrifted tea cup. Add peppermint extract and offer them at a hot chocolate bar for the holidays. If your weather is extra humid, you may need to give your cubes a little bit more time to dry. Plan accordingly. Food coloring will affect the color of any resulting drink, so be warned. Gel food colors don’t dry the same way that traditional food coloring does, and may affect drying time. You can replace the water with flavorings like rose water, orange blossom water, or extracts. A tea towel, flour sack cloth, or parchment paper underneath your work surface helps make clean up easy-peasy! Learn how to make sugar cubes from scratch and you'll never buy store bought again. Plus, get the best tips and ideas for using them. In a small bowl, prepare water and/or extracts. Slowly add the liquid to the sugar, mixing well with a fork or whisk until sugar is damp, but not melting. Add food coloring to the sugar and water mixture, and continue mixing until the color is evenly distributed. 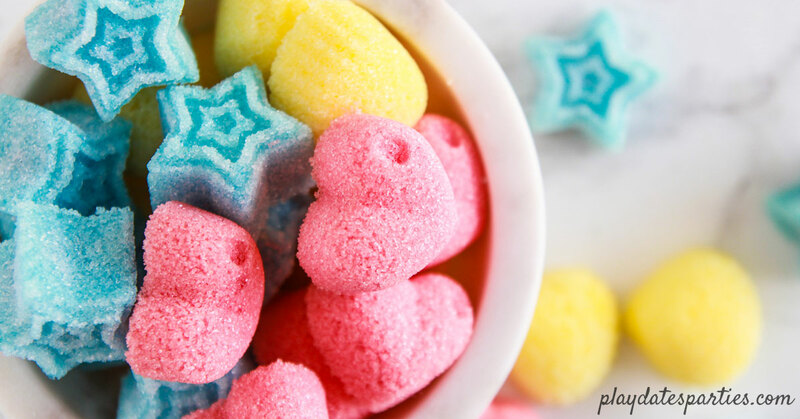 Dump sugar mixture onto a silicone candy mold and press the mixture into the cavities so it is packed in tight. Allow sugar cubes to dry, uncovered, for 24 hours, or until the moisture has evaporated and the cubes are hardened. Gel food colors don't dry the same way that traditional food coloring does, and may affect drying time of your sugar cubes. Just think about your next cup of coffee or tea, and how amazing it would be with an infusion of vanilla or orange water. And now that you know how to make sugar cubes, you can create your own custom latte (or champagne cocktail) flavor! What flavor, shape, and color sugar cubes would you make? How would you use your extra sugar cubes? Make mini sundaes ahead. I use bathroom cups. Add ice cream of choice, syrup of choice, topping of choice, finish with whip cream topping. Cover or place sundaes in airtight container. Freeze. Top with sprinkles just before serving. Works for jello, puddings, just don’t freeze, refrigerate instead. Can add party umbrellas, swizzle sticks, cherries, etc just before serving. Serve in small glasses too. Just keep under 4 ounces. This is such a cute idea! 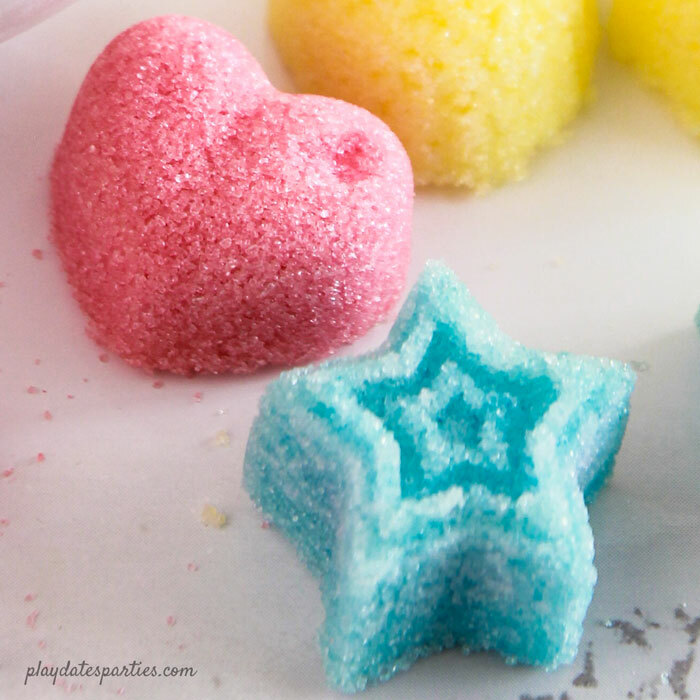 Thanks for sharing your sugar cube recipe at the Merry Monday linky party! What a fun idea, Leslie, and then I saw your champagne cocktail and now I want to make those so I can drop one of these sugar cubes in it and see what happens, lol!! What fun! And they look adorable! Thanks for bringing this cute idea to Fiesta Friday Link Party! Thanks for sharing an easy to print recipe! 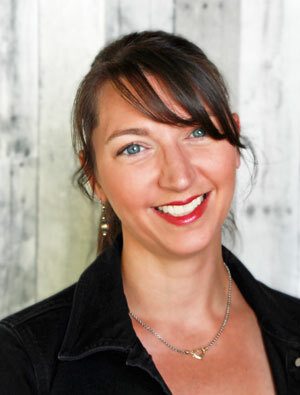 Leslis – I just love this idea – what a perfect addition these would make so wedding or baby showers or even a Mother’s Day Event. I am featuring you over at #TuneInThursday tomorrow. Thanks for being faithful to linkup each week.